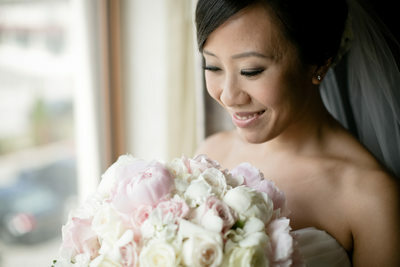 Lotus Wedding Photography has photographed many Asian Weddings over the years. We are very familiar with the customs such as the Tea Ceremony, where the bride and groom were conducted to the family altar. Where they paid homage to Heaven and Earth, the family ancestors and the Kitchen God, Tsao-Chün. Tea, is typically served with two lotus seeds or two red dates in the cup, was offered to the groom’s parents. We approach ever Asian Wedding with an open eye and open mind. Each and every wedding is unique, just like our brides and grooms. We start the day off with the getting ready section of the day. 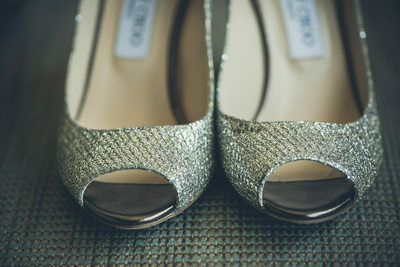 We love capturing little details such as the bridal bouquet, wedding shoes in this particular wedding her shoes were from Jimmy Choo. 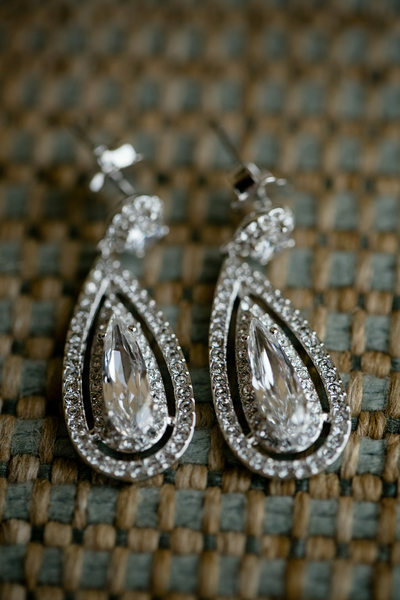 Wedding invitations, unique hair pieces, jewelry, including the wedding bands and engagement rings and of course the beautiful wedding dress are all important details that we make sure we photograph at ever Asian wedding. 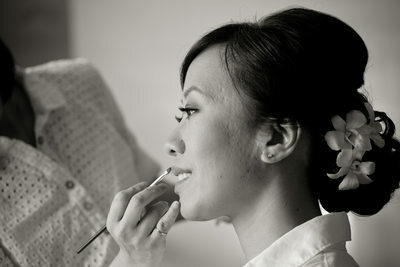 Once the creative and unique detail photos are taken, we move on the the getting ready, or bride prep stage of the beginning of the day. 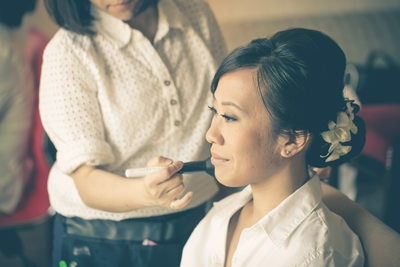 We always like to try to get the bride applying make up, playing with her beautiful wedding gown and spending a candid moment with her bridesmaids. 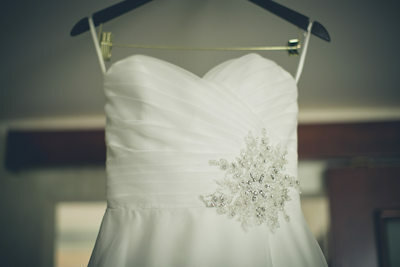 These images are timeless and really start to tell the story of the wedding day. After a few beautiful bridal portraits of the bride alone, we like to utilize her veil for a few creative wedding photos as well. The bride and groom decided that they wanted to do a First Reveal. By doing this we are able to do all of their traditional family photos, fun and silly bridal party photos prior to their ceremony. I am really glad they opted for the first reveal, when we did it, Shiru, the groom turned around to see his beautiful bride standing behind him, his eyes filled with tears he hugged and kissed her, it made for beautiful memories as well as great candid wedding photos. Immediately after the first reveal, we they did the traditional tea ceremony, then it was off to the venue for their couples portraits together. We try to give you a mix of, traditional wedding photos, candid images, as well as creative and artistic photos of our newlyweds. We shot a couple of landscape wide angle shots of the couple, showing of the venue, which just happens to be The Swan Club in Roslyn NY. We moved on to one of the most important parts of any wedding day, the traditional family photos. For some reason, this part of the day gets very little credit. I personally love this part of any Asian Wedding Day. Don't get me wrong, I am not going to win any Fearless Photographers Awards, or WPPI Awards for family photos. But these images are the ones that mean the most to our clients. These are the wedding photographs that get printed out huge and placed in the living room of our parents and grandparents. I try to get as many combinations as possible, insuring each and every family member the bride and groom want, are properly photographed. I try to use softboxes, hair lights and all the newest techniques to ensure a beautiful photo, that my clients and their families are going to love forever. Once these images are taken, we move on the the goofy bridal party photos. This is the part of the day that I am always trying to push and see how far we can get our clients to go. We try to have as much fun as possible. Being silly, fun, creative and just trying to have a good time. Then after a few more creative wedding photos of our bride and groom we start the Traditional Asian Wedding Ceremony. The bride Lisa looks gorgeous as she walks down the aisle. 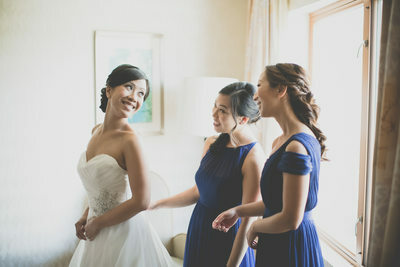 Beautiful Candid moments are captured throughout the entire ceremony. The mother of the bride sheds a tear as she watches her littler girl marry the man of her dreams. I now pronounce you husband and wife!! They are officially married! 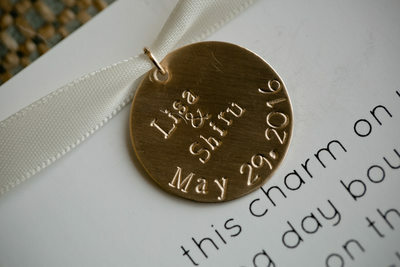 Once the ceremony is over, we like to get as many details of the reception as possible. The centerpieces, dinner plates, ect. 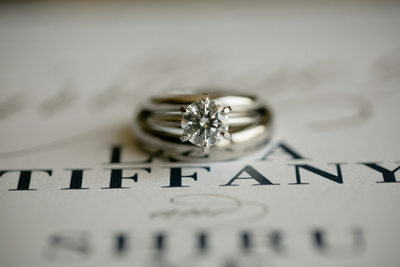 These may not seem like super important photos, but they do play an important part in any wedding album.